Lock in a great price for Oaks Elan Darwin - rated 8.5 by recent guests. Clean, comfy rooms with a nice view. Great location. I really had a nice experience here . The views are excellent when seeing the sunset. The stuff here is sooooo lovely. I really enjoy my times here and hope I could have another beautiful memory next time . And don't hesitate this will be the best hotel u gonna live. It had wonderful views and a very beautiful swimming pool to relax in. Wonderful staff. Views were excellent even on city facing balcony and very homely. The view and the cleanliness... AND the staff!! The pool was awesome!! 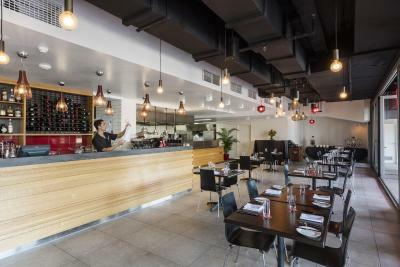 One of our bestsellers in Darwin! 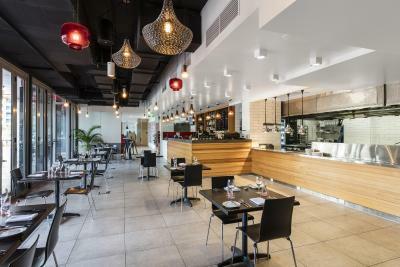 Located in central Darwin, 10 minutes’ walk from the Darwin Convention Centre, Oaks Elan Darwin offers a restaurant and an outdoor lap pool. Some rooms feature a private balcony. 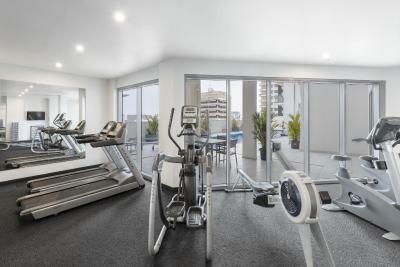 You can maintain your workout at the on-site fitness centre. 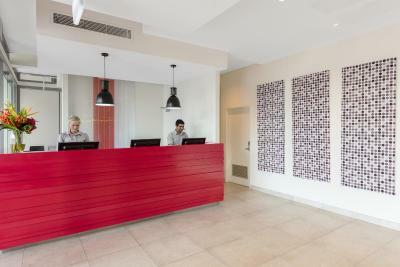 There is also a 24-hour front desk for added convenience. 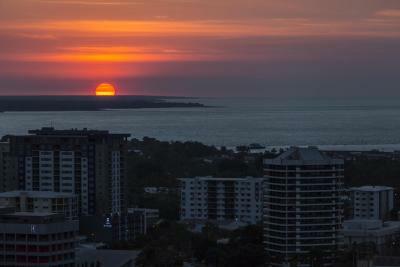 Darwin CBD is a great choice for travellers interested in hot weather, nature and friendly locals. 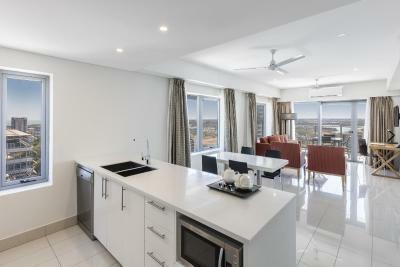 Oaks Elan Darwin has been welcoming Booking.com guests since 4 Nov 2013. 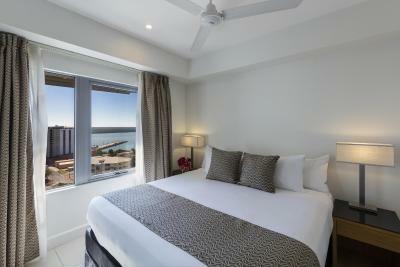 When would you like to stay at Oaks Elan Darwin? 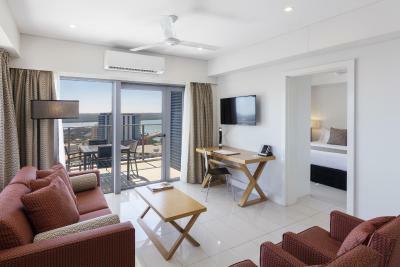 This air-conditioned Hotel Suite features views over the harbour and Darwin city. It has 2 armchairs, ceiling fans, air-conditioning, an LCD TV with satellite channels, tea/coffee making facilities, a hairdryer and free toiletries. 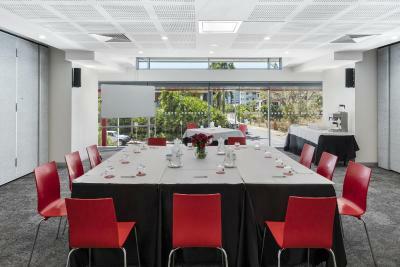 Public parking is possible on site (reservation is not needed) and costs AUD 15 per day. This air-conditioned apartment offers city views from your private balcony. It has a kitchenette and a flat-screen TV with cable channels. The private bathroom has a hairdryer. 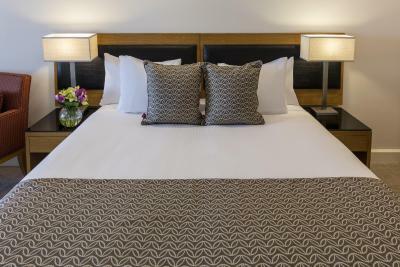 Please note that the 3rd guest will be accommodated on a roll-away bed or sofa bed. This air-conditioned apartment offers city views from your private balcony. 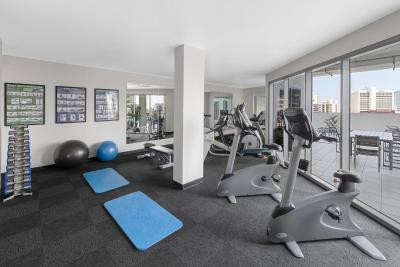 It has a kitchenette and 2 lounge areas with a flat-screen TV and cable channels. 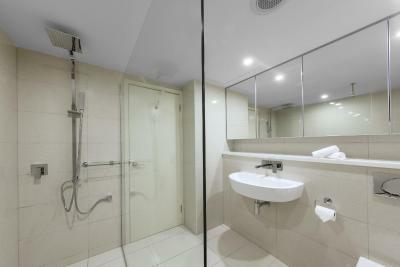 You will find 2 en suite bathrooms for added comfort. 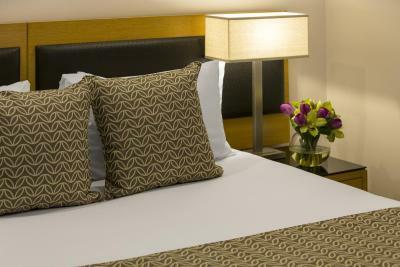 Please note that the 5th and 6th guest will be accommodated on a roll-away bed or on a sofa bed. 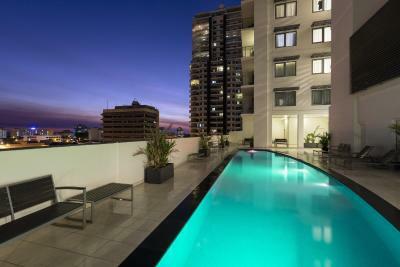 This air-conditioned apartment features a private balcony with views of the city, Frances Bay or Darwin Harbour. It has a kitchenette with a stove top, full size refrigerator, microwave, dishwasher and dinnerware for 4. There is a washing machine, tumble dyer, ironing facilities, a separate living and dining area with a LCD TV and a private bathroom with a hairdryer and free toiletries. This air-conditioned apartment offers sea views from your private balcony. It has a kitchenette and 2 lounge areas with a flat-screen TV and cable channels. You will find 2 en suite bathrooms for added comfort. This double room features a seating area, cable TV and sofa. This apartment has a balcony, washing machine and electric kettle. This apartment features a balcony, electric kettle and washing machine. This apartment has a balcony, dishwasher and tumble dryer. This double room has a electric kettle, cable TV and sofa. This apartment features a balcony, flat-screen TV and sofa. 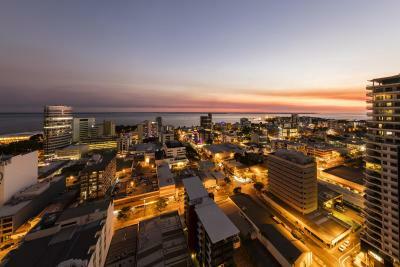 Located on Woods Street in Darwin’s CBD, our hotel is just minutes from the Darwin Waterfront Precinct and the city’s dining, entertainment and shopping hub, including Smith Street Mall. 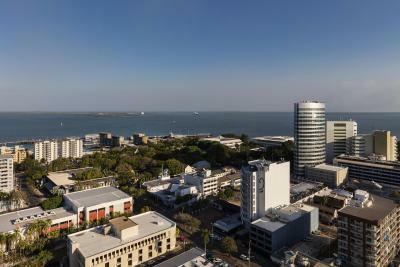 Rising over 27 floors, Oaks Elan Darwin offers uninterrupted views over the tropical city, Darwin Harbour and Frances Bay. 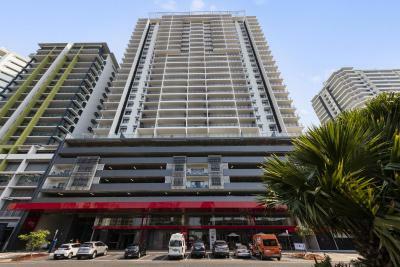 As one of Darwin’s newest hotel developments, our accommodation is contemporary in design and features modern décor and quality finishes, including a combination of hotel rooms and one and two bedroom apartments. 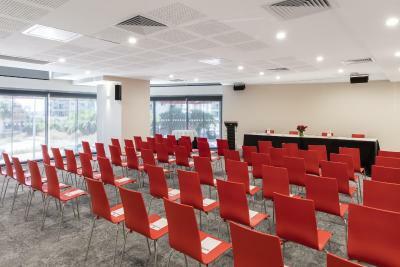 Hotel surroundings – This neighbourhood is a great choice for travellers interested in hot weather, nature and friendly locals – Check location Great location - show map Guests loved walking around the neighbourhood! House rules Oaks Elan Darwin takes special requests - add in the next step! 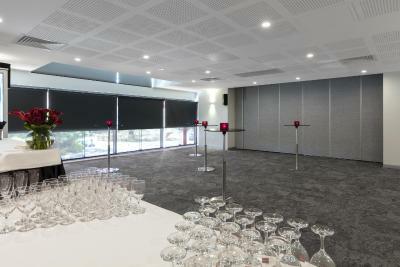 Oaks Elan Darwin accepts these cards and reserves the right to temporarily hold an amount prior to arrival. 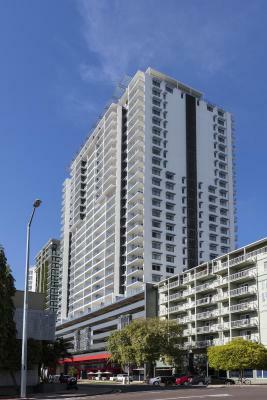 I experienced the one bedroom apartment with harbor view. Absolutely gorgeous! 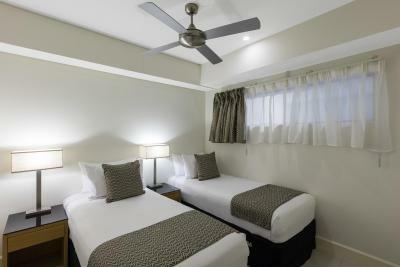 the facility was and rooms where extremely clean and the place was so spacious for a 1 bedroom apartment. Defiantly worth the money! The elevators are quite slow. Spotless room with a great view. Parking is good but $15 a night. Easy check in and check out. Love the 1 bedroom apartment. Very nice and clean. Extra comfortable beds. Beautiful bathroom. Views from the 21st floor. Our hotel room was damp in feel and smell. It was terrible. We won’t be back. Our clothes started to smell and our towels wouldn’t dry. Really enjoyed the a la carte breakfast.